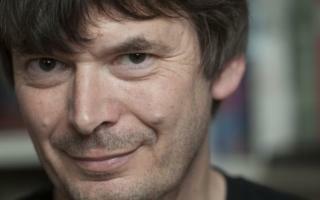 Detective John Rebus will return in his 20th novel this October, after author Ian Rankin took a year-long sabbatical. Even Dogs in the Wild will see the gruff investigator come out of retirement to help former colleague Siobhan Clarke solve a murky murder. According to some estimates, Rankin's novels account for 10% of all crime fiction sold in the UK. But in 2013, the author announced he needed a year off to rediscover his passion for writing. 'Writing a book a year, you feel like you're on a wheel and it's hard to get off," he told the Daily Mail. "Something had got lost. I had to remind myself why I wanted to be a writer." The 54-year-old added that his sabbatical had also been prompted by the death of two close friends, including fellow novelist Iain Banks. He spent the time travelling, picking grapes and captaining a Scottish crime writers' 5-a-side football team. "I had a nice long holiday in Barbados in February... and survived making the best man's speech at my mate's wedding," he told fans on his website. By August, however, the author was "getting itchy". "I started scribbling wee stories, the way I used to when I was a student writing for the sheer hell of it," he told the Mail. "That put the fun back into it again. I discovered I not only need to write, but that it's still more fun than anything else I can think of." Fife-born Rankin published the first Rebus novel in 1987. The series has been translated into 36 languages and won numerous crime-writing awards. Rankin has written new instalments almost every year - with two issued in 1992 - alongside short story collections, works of non-fiction and standalone novels, not featuring his most famous creation. The new book begins with the death of a senior lawyer during a robbery, said publishers Orion. But the case becomes more complex when a note is discovered indicating the death may not have been a random attack. When local gangster Ger Cafferty receives an identical message, Detective Inspector Clarke decides Rebus may be able to help. "He's the only man Cafferty will open up to, and together the two old adversaries might just stand a chance of saving Cafferty's skin," said a press release. Earlier this month, Rankin was elected to become a fellow of the Royal Society of Edinburgh.